However, after boot from flash driver, it shew up a dialog (screenshot is attached), ask for a paring a bluetooth keyboard. Why it didn't detect the built-in keyboard ? Replace attached files to /EFI/Clover and try again. I followed your steps but when Clover menu displayed, it only shews the windows OS on my HDD, but not the installation entry on the USB stick. Do you know how to fix this problem ? It's now deteced the OSX install enry on the boot menu and passed the keyboard detection in the installation process. However, when it come to the os recovery / os installation / disk utility dialog, and I choose the "disk utility" to partition my SDD with a partition name, I found it's not response to keyboard inputs. What's the problem, is may keyboard not compatible with the PS2 ext, or any thing wrong with the ACPI / config.plist ? 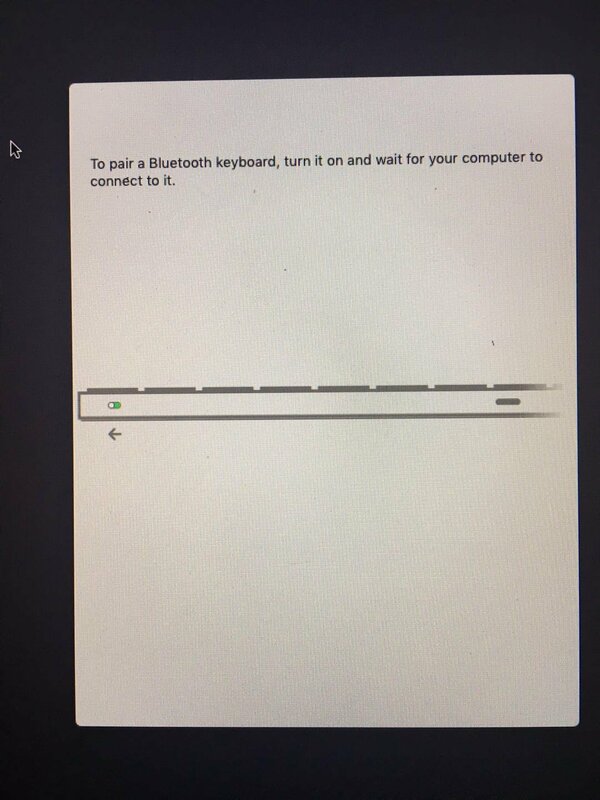 you can always try connecting a usb keyboard and mouse and finish your install. at least then you can figure out your issues on a running os. I think it's Rehabman's and the attachment only contains the Keyboard driver, nothing for a TrackPad/TouchPad. No issues with keyboard during install with the included ApplePS2Controller.kext from my files. If you have other PS2 kexts, make sure to remove them.